What Information Is Best on Your Chicago Vehicle Graphics? 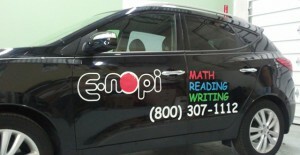 You already know that vehicle graphics are an excellent marketing tool for Chicago area businesses. Yet what should your graphics say? What is the information that you should communicate to the consumer at all costs? Which information is optional? Is there such a thing as “too much” information? Your questions – answered! Q: What are the three crucial information elements of a successful vehicle graphics setup? A: At the bare minimum, your graphics should display the name of your business, your telephone number and a website address. This allows consumers to contact you in person via phone or online after hours. The website address in particular offers the would-be buyer an opportunity to check out your business on the Internet and perhaps even set up an appointment, order a product or sign up for an email newsletter. Q: I have a small vehicle, but I want to include more information! Can I do that? A: The trick to a successful Chicago graphics setup is an absence of clutter. If your vehicle’s graphics look cluttered because you add to much information, passersby will not be as impressed as they would be with a “less is more approach.” That said, it is possible to add some information to the sides of the vehicle and different lettering or decals to the back. Even so, we strongly caution you to keep the information to a minimum to avoid a cramped look and maintain a good size for the lettering and the decals. Q: I have a large van and want to include more information. What other options are there? A: When you have the vehicle space, we suggest adding the city – or cities – where you do the majority of your business. This helps brand your business to your target audience and lets those from adjacent locations realize that you are available to them, too. 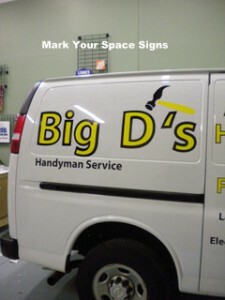 When you have a large truck or van, why not also add your motto or slogan? If this tagline is a bit of an earworm or you have invested in a commercial with a memorable jingle, the slogan will jog the memory of anyone who sees your vehicle. Q: Should I add social media icons to my graphics? A: These icons do not take up a lot of space. The real question is: How active are you on social media? Savvy business owners with little time on their hands outsource their social media postings. This frees up their time to do make widgets or visit clients even as they still show a strong social media presence. Unless you – or a third party on your behalf – can commit to adding daily social media posts to your page, omit the icon. When customers see the symbol, they expect to interact and see current information. If your last post was two months ago, social media icons are not a good investment. Q: Do QR codes make sense? A: Now that you know what information to include on your Chicago vehicle graphics, add QR codes for specialized marketing campaigns. We can add those at the time of your initial graphics install or put them on later. When you are ready to take your advertising and consumer interaction to the next level, the QR code can make a huge difference. 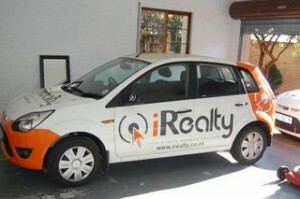 We invite you to download our 4-Step Vehicle Wrap Process to aid you in making the right decision! Title: What Information Should I Include on My Chicago Vehicle Graphics?